Here we are. The New Year is upon us, so it's about time that we look back on the amazing year that was 2013. The Aquarium celebrated some unbelievable moments—some much touted and others quieter. But they're all part of what makes the Aquarium so special. Today we're concluding the countdown of the 10 most exciting, cutest, noteworthy and/or memorable ways that 2013 is one year that we won't forget. 1. 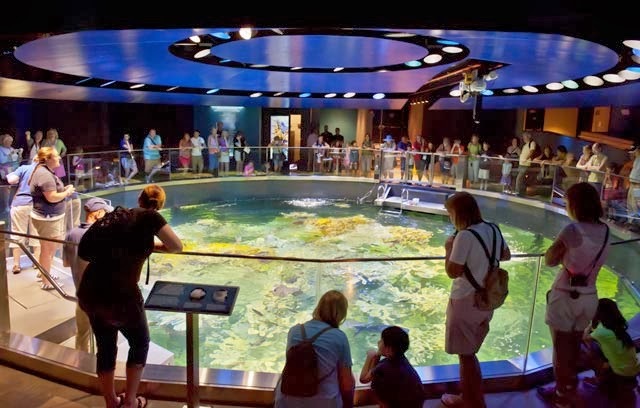 The Return of the Giant Ocean Tank and the New Aquarium Experience—what else?! Without a doubt, the most anticipated event of 2013 was the unveiling of the new Giant Ocean Tank along with the New Aquarium Experience. And this spectacular gem, the heart of the Aquarium, returned even better than ever. 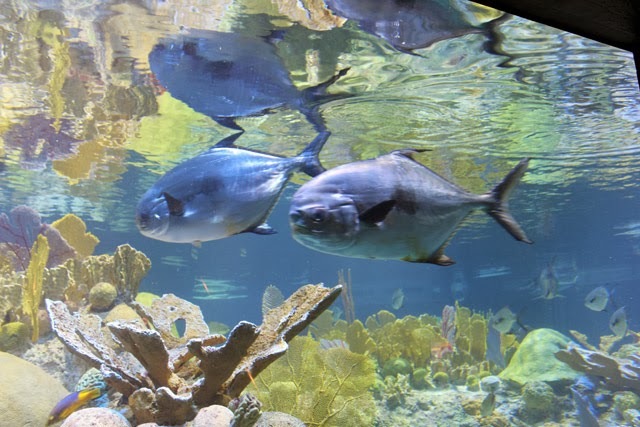 With a brand new coral reef, sunny new lighting and thousands of marine animals, the exhibit officially opened to the public on July 1. The brand new ceiling, lighting, railings and platforms make the top of the Giant Ocean Tank a brand new experience. 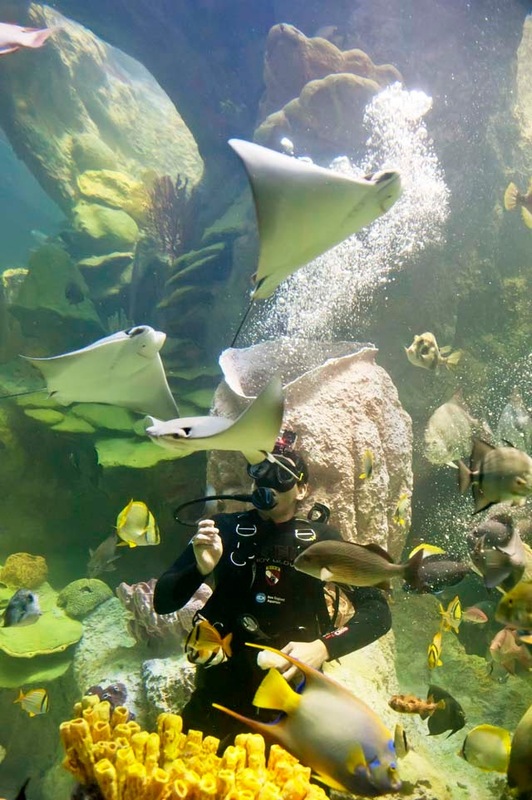 The city was abuzz with news about the new exhibit, the tremendous undertaking of renovating this 200,000-gallon exhibit and the Giant Ocean Tank has been wowing visitors ever since. While the Giant Ocean Tank is definitely the largest new exhibit, there are several displays throughout the building that deserve some attention. The lobster and shark nurseries in the Blue Planet Action Center quietly wow people in a quieter way. 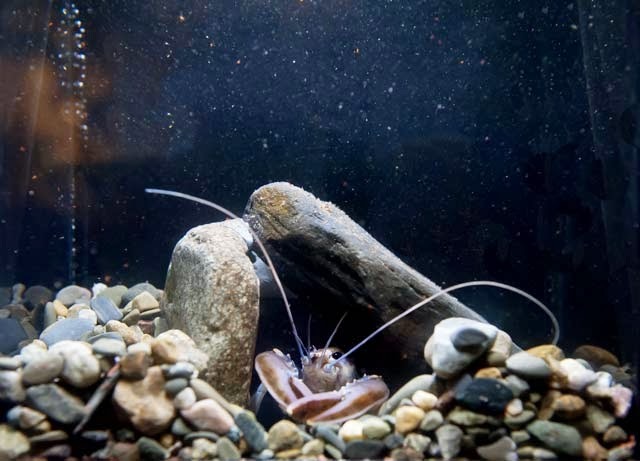 Visitors can learn about the Aquarium's lobster research program and how lobster shell colors can be changed through diet. A baby lobster looks out at visitors from its cozy hideout. The shark nursery never fails to drop jaw. 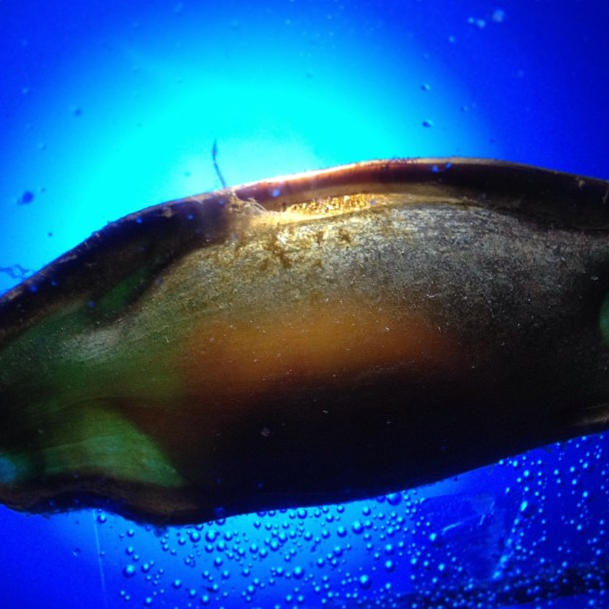 Yes, many sharks hatch out of cases, and you can watch them develop in those egg cases right here at the Aquarium! 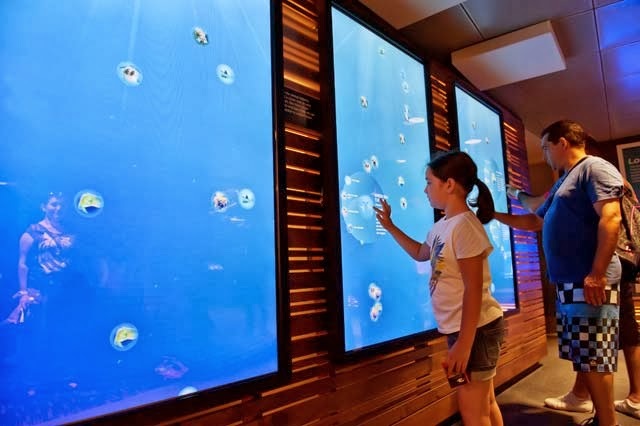 And interactive touch screens engage visitors of all ages. But with so much new and wonderful things happening at the Aquarium, sometimes it's nice to know some things don't change. Happy New Year! 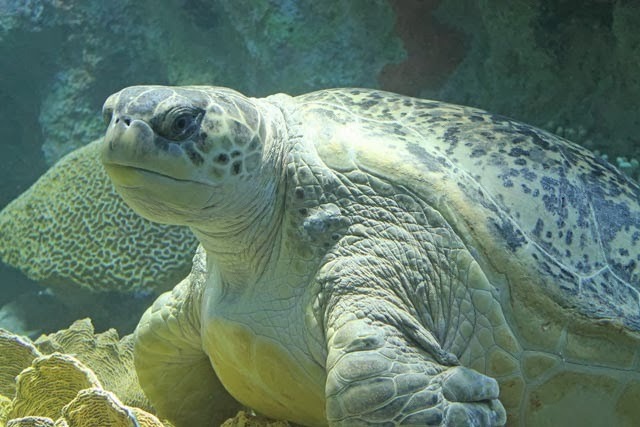 Celebrate all that's new at the New England Aquarium and get ready for another year of fantastic interactions with our blue planet. Come visit! Buy tickets online and skip the line.